TrueSizer Pro is the tool you need for improving your customer service. 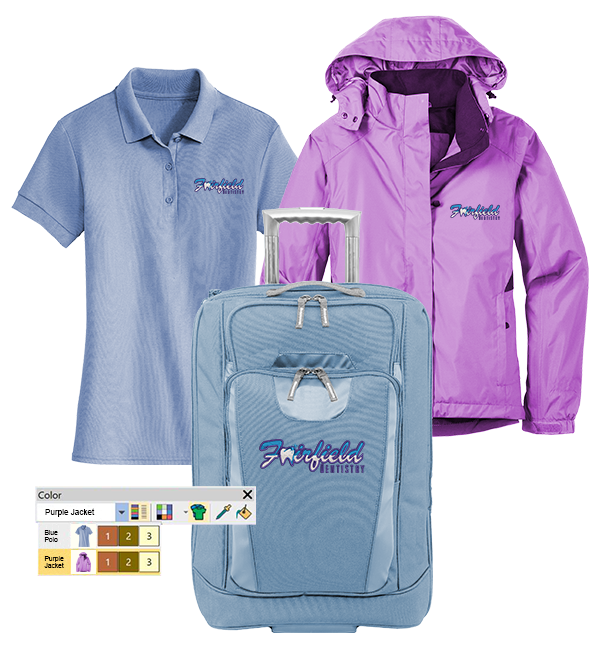 If you don’t require all the power and capabilities of the more advanced EmbroideryStudio e4 suite but looking to do more with your designs, look no further. TrueSizer Pro can help improve your customer service and sales processes! TrueSizer Pro not only includes all of the useful tools found in free TrueSizer but also many other valuable tools. Internet – Required for product activation and registration. Internet connection may also be required during installation in order to download Windows features such as .NET Framework 4.6. Object files are high-level digitizing system CAD formats which contain object outlines, object properties and in Wilcom’s case, also stitch data. 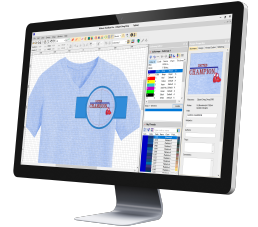 When you open an original digitized design file in Wilcom TrueSizer Pro, it can be accurately resized while preserving the original stitching effects and correct densities. When you buy TrueSizer Pro you only pay the software purchase price! No setup costs, no hidden costs, and no annual fees. Yes, it is completely safe to pay for TrueSizer Pro online. Wilcom uses the Avangate digital commerce platform to process online orders and this system is PCI DSS Level 1 certified (Payment Card Industry Data Security Standard). PCI DSS is the most important security standard for the card payment industry and includes a set of comprehensive requirements for security management, policies, procedures, network architecture, software design and other critical protective measures. You can find useful information, links and support by visiting the TrueSizer Pro support page. Phone and email support queries however will be charged at $199 USD per call. If don’t receive the confirmation email and it’s not in your junk email folder, please contact Avangate.